Make a purchase at a participating Goodwill Store and Donation Center in southeastern Wisconsin between July 3 and July 22 to receive a specially-marked receipt that will grant you FREE admission into Milwaukee's Festa Italiana on July 22! 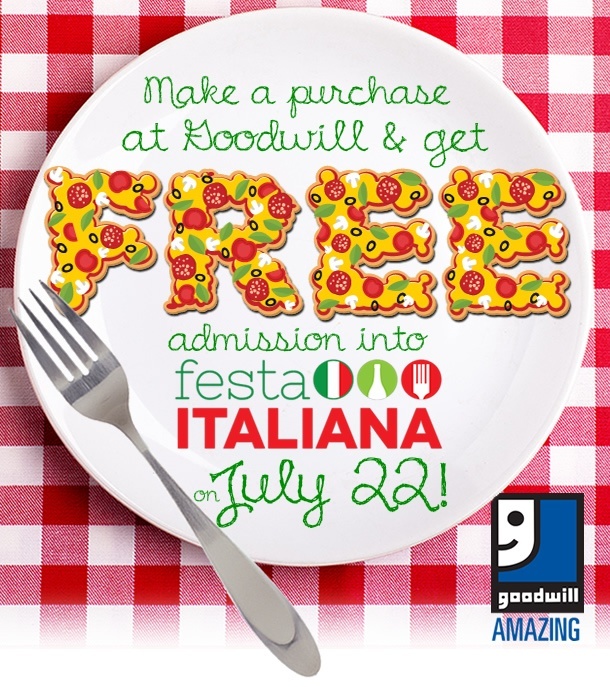 Bring your specially-marked Goodwill reciept to the Festa Italiana main gate entrance between 2 p.m. and 6 p.m. on July 22nd and receive one FREE admission ticket (valid only on July 22nd). One receipt per person. No copies or handwritten receipts will be accepted.